So this post was meant to go up last Sunday but it was my birthday that day so I completely forgot about it so here’s my swatch Sunday post of some of my pink lip products. I don’t wear pink lip products that often unless it has a mauve or brown undertone to it but sometime I venture out and put on a bright pink and absolutely love it. So here’s some of my favourites mixed in with some other similar shades that I own. As you can probably guess my about favourites, shade wise, is the top four colours. Doll Parts by Jeffree Star Cosmetics is my number one favourite pink and it looks so purple next to these other pinks and it’s my go to everyday colour. 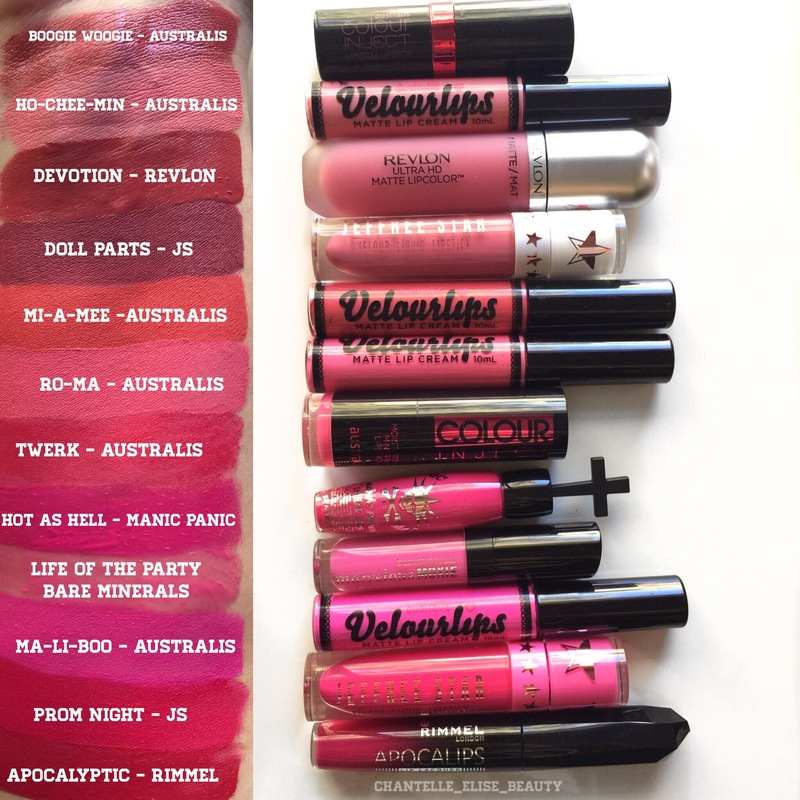 Mi-a-mee Velourlips by Australis Cosmetics is probably one of my favourites in the brighter shades as it’s the perfect coral pink and lasts on my lips all day.